← All hail the mighty…. 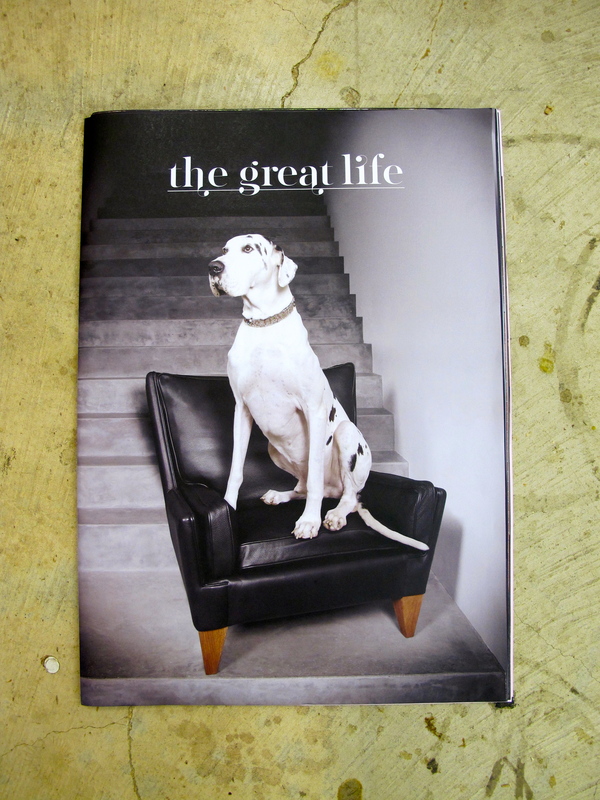 So the other evening, we found ourselves hanging out with the big dog – of furniture that is…. Anton of Great Dane is an important figure on the Australian furniture and design landscape, and you should keep an eye on what he’s doing because he has made a real thing of swimming against the tide, and not any old tide either. 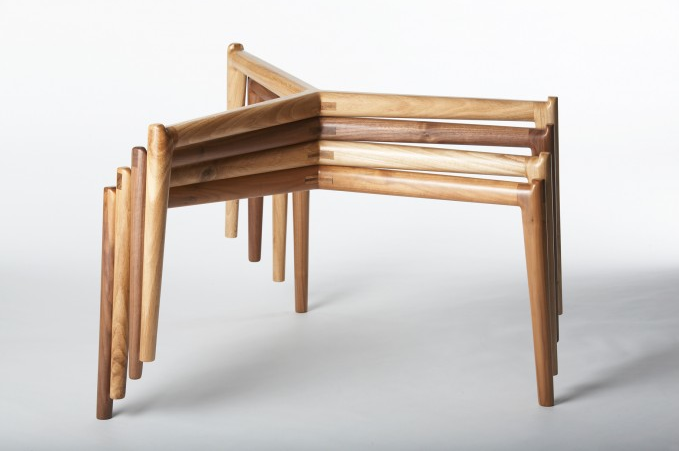 Now before I hear shouts of ‘fie!’ and ‘shame!’, I want to assure you that the Gentleman Furniture Maker has not sold out to big business, or merrily slaughtered his values at the altar of big retail – in fact quite the opposite – so let us explain. If you were moseying along Johnston Street in Melbourne’s Fitzroy, you might wander past a number of large (and to remain nameless in this blog) retailers of a whole assortment of furniture. Recently landed amongst these, a stones throw from Brunswick street is Great Dane’s latest outlet. Without actually understanding Great Dane’s effect on the market and the values that drive this, you could easily be forgiven for looking in the window, eyeing the gorgeous furniture and sighing, consigning them to the great landfill in the sky that is the destiny of so much of what passes for ‘furniture’ and ‘design’ these days. What you should know, is that Anton has from the outset (10 years now), relentlessly chased down the designers of many of the classic Danish pieces that have long since gone out of production, corralled the makers and experts and cataloguers of knowledge and put many essentially lost yet crucial parts of the Danish design movement back into production. Now, and this is really important in my view, this has been done with absolute focus on production quality, and the greatest of care in maintaining the skill and hand crafted nature of the pieces. Again, without much thought, you could be forgiven for giving the big shrug – so what’s different? However, if you know us, you know that our commitment is to the individual, the relational, and the sublimation of the designer to the authenticity and integrity of the work as it serves the client and the aesthetic. 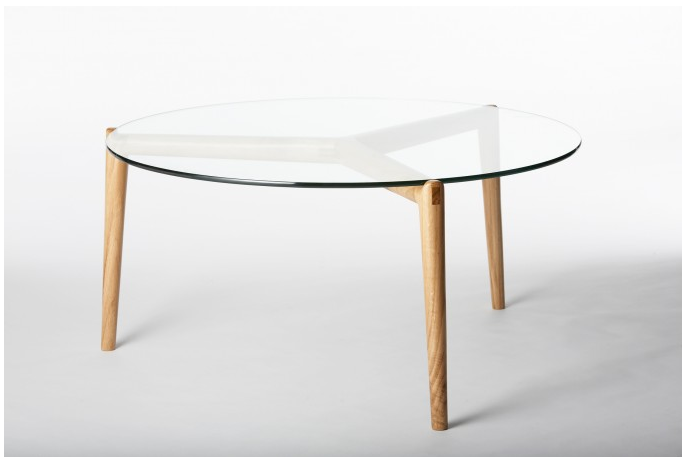 So much of the Danish furniture design movement has come to epitomise these values, while taken to production levels. Anton’s approach is the same – he says ‘Look, and look again. What has already been done is extraordinary, is relevant, is beautiful and embodies intelligent considered elegance.’ He suggests that we haven’t fully explored the significance of these people and their work or the effect that their skill and commitment can still have upon us. He also manages to avoid merely being stuck in gazing backwards, and this is where the true value lies; he is supporting a number of carefully chosen individual Australian makers and is challenging them to build on what has been done and to continue to develop the narrative threads of this process while staying true to the roots of the tradition. 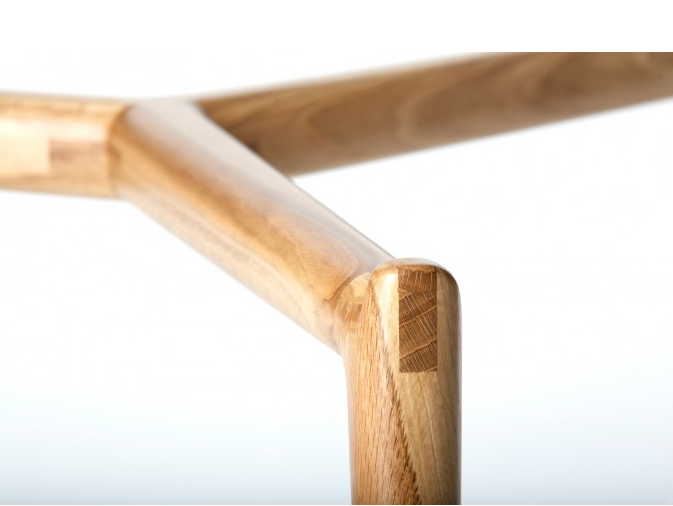 Great things are being made with integrity and skill, and it’s happening right here – these images are of the Stobie table made exclusively for Great Dane by Lex Stobie. This is what we have been saying all along. ‘You can’t know where you’re going unless you know where you’ve come from.’ And Anton certainly knows where he’s going unlike a legion of others. The standard business model seeks to identify a product and a market, and slowly but surely create a facsimile of the original that is most easily replicable at the lowest cost possible from the easiest to source and cheapest materials. The result is a stultified market, and a drop in standards of quality and ethics. Fact is, unlike the standard business model, Anton’s is going to leave the market in better shape than it found it. We will have better quality Australian made and designed pieces, and a group of consumers that have been re-connected to a narrative framework that is still based in something real, and which springs from a genuine attempt to formulate and express something ‘good’. They will also be investing in and validating the talent that is here and that needs this kind of support like thirsty plants awaiting rain. Now if only some of the others would get his drift, we all might see something worthwhile springing up in this young nation. This entry was posted in Good people, The bigger picture. Bookmark the permalink.